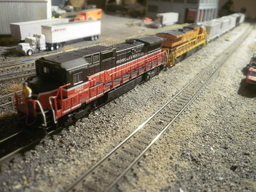 Home of your favorite Model Railroad and Toy Train Photos! There are currently 3,928 photographs available in the archive. 0 so far today, 0 yesterday, and 0 in the last week! Try my other sites too: Virtual Railroad Photos, North American Railroad Photos, New England Railroad Photos, and Transit Photos!